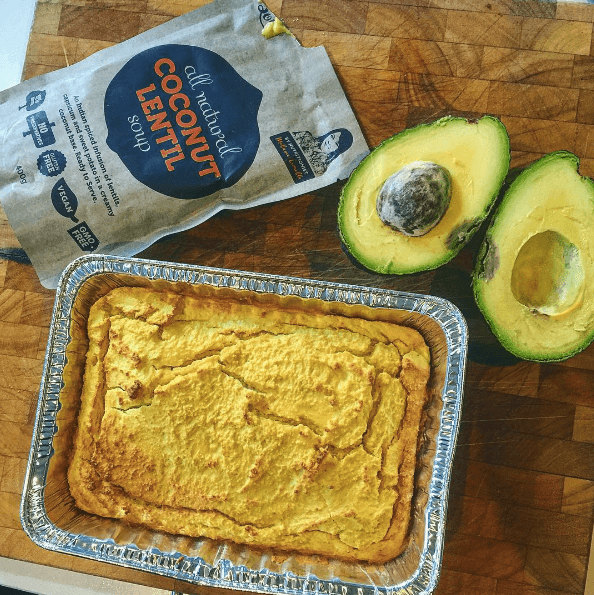 Surprising, Complete, Easy and E.X.C.I.T.I.N.G are probably the best words to describe this genius idea by Sage who baked a Grain Free bread using our coconut and lentil soup. Bread plays an important role in your diet by providing many nutrients that are vital for the health and maintenance of our bodies. The following recipe is a bread without being a bread… Do you follow? If you’re a low carber who’s missing the simple pleasure of a beautifully buttered slice of bread, you are going to love this! 100% Grain Free, Gluten Free and Sugar Free, it’s full of flavour and nutrients to keep you fighting winter ! So, a standing ovation to @sagesbelly who created this fancy bread recipe. In a large bowl, mix the eggs with the butter. Whisk with the Hart & Soul Coconut & Lentil soup. Add the almond meal, the coconut flour and the salt. Another word of caution: this recipe is preservative-free so you’ll need to store it in the fridge and eat it fairly quickly. If you need it to keep for longer, cut it into individual slices, wrap and freeze. When you want a piece, just unwrap and toast in the oven for a minute.